SIX MONTHS AFTER THE FIRE – WHERE ARE WE NOW? 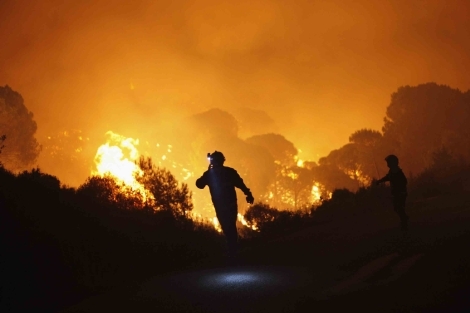 Six months have now elapsed since the devastating fire in Malaga province. It changed the lives of many people. Their homes and possessions were burned. 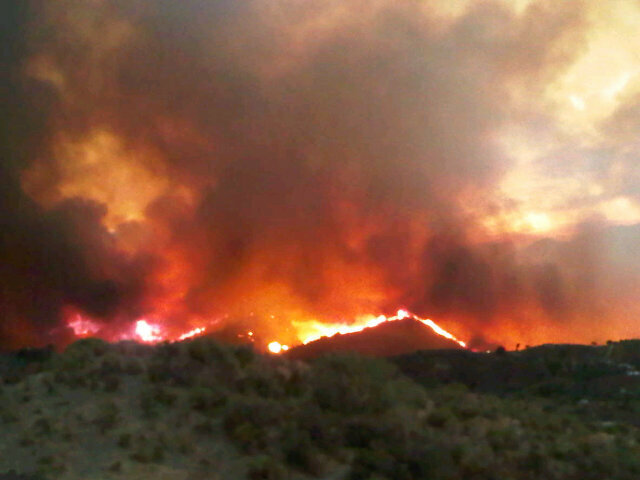 Many lost everything due to the ferocity of the fire. at the end of August 2012.
battle for permission to repair and rebuild their homes rages on. The rural homes of the fire victims have been caught up in the legislative land-planning nightmare that affects the whole of Andalucia. Andalucia has some 300,000 ‘illegal’ rural homes. As the law stand it seems that most homes built in rural areas (with or without Town Hall licences) are illegal. A Decree published in February 2012 is the beginning of a way forward to regularise these rural homes. Mijas Ayuntamiento has started the process of regularising illegal buildings. 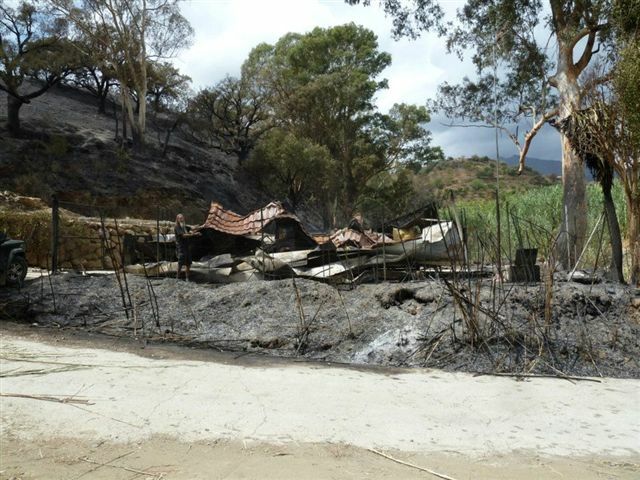 At this moment it seems that the fire destroyed and damaged homes will be excluded from the legalisation process since, in their post-fire state, they will not meet the necessary minimum habitation standards and there is no law or permission that will allow that work to be carried out now. The fire victims face the permanent loss of their homes not through any judicial process but for the alleged lack of care of a gardener. The fire was extremely traumatic. Witnessing their whole life going up in flames is an experience from which they are trying to recover. The prospect of not being able to repair the fire damage to their homes is an additional inhumane and cruel burden on them. All they want to do is get back to where they were before the fire and be part of the legalisation process. The British Ambassador has written to the Junta de Andalucia to enquire about the situation. As yet there has been no reply. 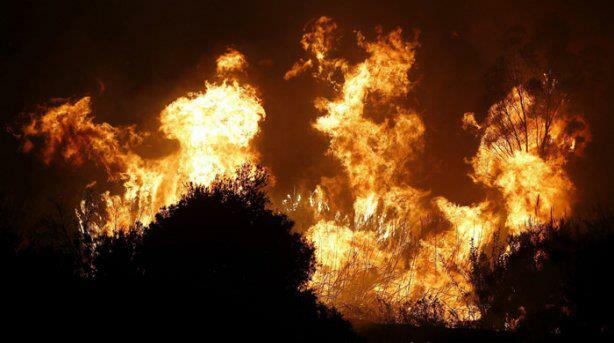 The Defensora del Pueblo from Madrid has visited the fire zone to see the fire damage for herself and taken up the case by writing to the Mijas Ayuntamiento and the Junta de Andalucia. Responses from both are awaited. 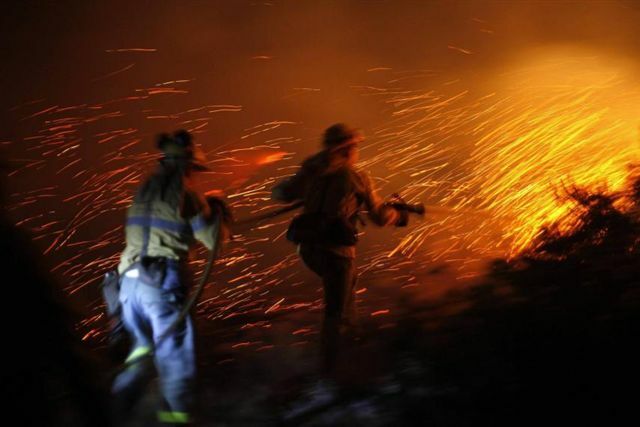 Immediately after the fire the Ayuntamiento de Mijas wrote to the Junta de Andalucia asking for exceptional measures to deal with this exceptional situation. Six months later there has been no response. 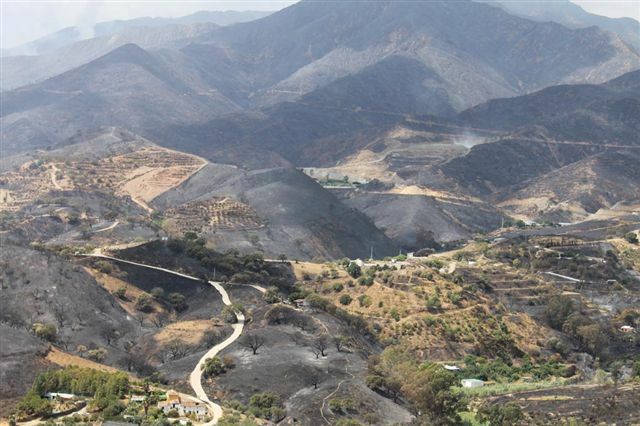 Victimas del Incendio have joined forces with other Associations throughout Andalucia who also have serious issues that can only be rectified by the Junta de Andalucia amending the current land planning law. Representatives from the action groups have requested a meeting with the Junta de Andalucia. There has been no response. The Junta de Andalucia has the power to grant the reasonable request of the Ayuntamiento de Mijas who have asked for an exceptional solution to what is an exceptional situation. Why have the Junta done nothing? Press Release: SIX MONTHS AFTER THE FIRE – WHERE ARE WE NOW?